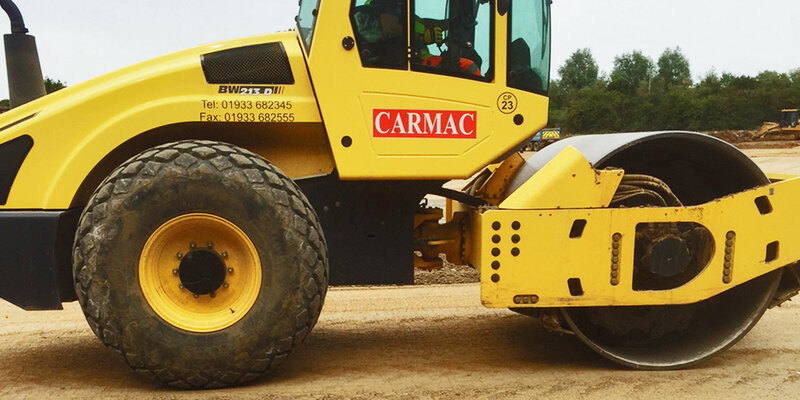 Based in Finedon Northamptonshire Carmac were formed in 1984 we have become over the years an established, professional groundworks and civil engineering contractor with a turnover of over 20 million and a client base of major house builders, developers and main contractors. Repeat business has always been our core income and we pride ourselves on our client relationships, many of which are nearly 20 years old. We endeavour to service our contracts with our own plant, which is valued at over 3 million, this fleet of excavators, dozers, dump trucks and small plant is constantly being renewed and upgraded, it is all maintained in house by our plant manager and plant fitters, all relevant safety inspections to excavators, dumpers, lifting chains etc., are carried out by an independent approved inspector, every 6 or 12 months. We have the relevant “O” licence to operate our own tipper trucks and road sweeper from our headquarters, these are used solely to service our own contracts. Our highly trained workforce is based throughout the East Midlands, they are all CSCS and CPCS accredited. We pride ourselves on retaining our skilled labour and recruiting only skilled, competent labour as required. 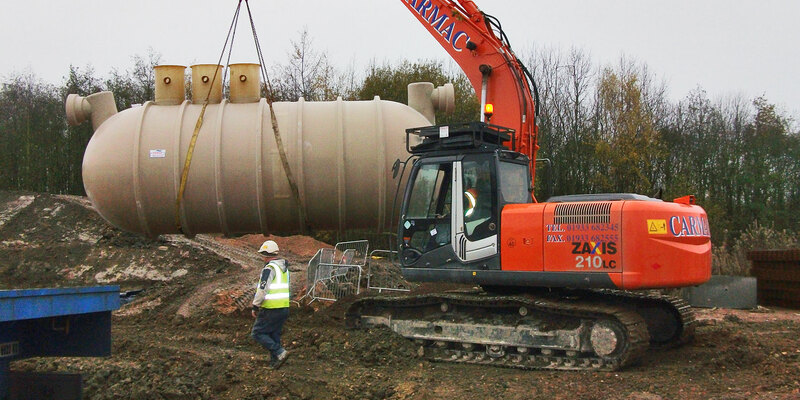 We have over 100 directly employed and long term subcontractors working for Carmac. This labour force is flexible so we are able to service contracts from North London to Birmingham and The Fens to Oxfordshire. We have numerous Street works accredited, first aiders, and confined space accredited employees. The management structure of Carmac has many years of experience in civil engineering and groundworks both professionally based and trade based, this management structure is constantly evolving via in house promotions and further training. Health and Safety is paramount to Carmac and with our own in house health and safety management, we are able to implement a robust training regime to ensure our workforce, supervisors and management are up to date with all current qualifications. We are able to provide up to date information with regard to the latest regulations, impart these to our workforce via regular tool box talks and reviewing our health and safety policy. Having a directly employed health and safety manager, with NEBOSH general and construction, IOSH technician, Temporary works coordination, Street works supervision and HND construction management qualifications. We maintain and provide our own in house R.A.M.S. which are all site specific, all this enables Carmac to provide an excellent service to our clients and advise clients in regard to specialist projects.